Dubai, UAE, November 21, 2018: Save the date and head to your favorite DANUBE HOME for a Super Sale Weekend of buying spree from 22-24 November. Over 1000 of products to choose from, the brand offers the shoppers with an unbelievable discounts and amazing deals with up to 80% off on furniture, Garden, Home ware ,Home décor ,chandeliers , Tiles and much more. 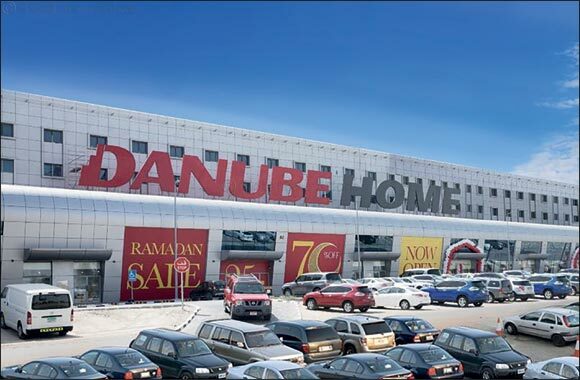 Danube Home showroom on Sheikh Zayed Road, Al Barsha , Dubai Festival City , Sharjah, Abu Dhabi Mussaffah & Mushriff Mall will reduce prices on a wide variety of categories, giving shopper’s infinite opportunities to shop - and save ! With Festive season around the corner, long weekends and travel plan, Danube Home provides right pick for travel gifts for friends and family and all at a snip of the regular price.